A key element of the technology is that it allows people to create, share, collaborate, and communicate. The Web 2.0 differs from ordinary websites as it does not require any web design or publishing skills to participate, making it easy for people to create and publish or communicate their work to the world. The nature of this technology makes it an easy and popular way to communicate information to either a select group of people or to a much wider audience. The Web 2.0 paradigm has gained substantial momentum in the last decade. The influence of Web 2.0 principles and technologies has fueled an explosion of information and media content on the web, and individual and corporate adoption of the technologies continues to rise. In this milieu, it is imperative to understand and learn about the present and evolving Web 2.0 tools and their application in different walks of life. The proposed study made an endeavor to dig deep into the genesis, development, and application of various Web 2.0 tools in library and information science. Technological revolution is affecting different facets of social life, although there is some disagreement in the research regarding the positive and negative influences. The Internet allows greater flexibility in working hours and location, especially with the spread of unmetered high-speed connections. The World Wide Web is most significant technology after the advent of printing press. It is a global set of large number of resources interrelated by hyperlinks. Social Networks, RSS Feeds, Wikis are a part of Web 2.0 which is most advanced form of the web. It can be well articulated as the shift from simply being a website and a search engine to a shared networking space that drives work, research, education, entertainment and social activities, which essentially all people do. Web 2.0 applications are socially rich and community building is the core of these applications. A key element of the technology is that it lets people to create, share, collaborate & communicate. The Web 2.0 differs from ordinary websites as it does not require any web design or publishing skills to participate, making it easy for people to create and publish or communicate their work to the world. The nature of this technology makes it an easy and popular way to communicate information to either a select group of people or to a much wider audience. The Web 2.0 paradigm has gained substantial momentum in the last decade. The influence of Web 2.0 principles and technologies has fuelled an explosion of information and media content on the Web, and individual and corporate adoption of the technologies continues to rise. In this milieu it is imperative to understand and learn about the present and evolving web 2.0 tools and their application in different walks of life. 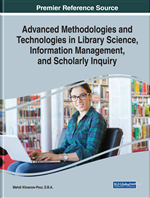 The proposed study made an endeavour to dig deep into the genesis, development and application of various Web 2.0 tools in library and information science.